The United States is fortunate to have a vast amount of natural resources that exist from Alaska to the mainland states. Here in the West, there is an abundance of oil and gas as well as vast timber reserves. With rising prices and consumption levels of oil and gas, this has contributed to the West experiencing unprecedented growth in terms of economic activities. One of the direst challenges for this high growth area is having enough water to meet the ongoing demands of agricultural, commercial and residential activities. The area is unique in the sense that it is within a subtropical zone, where the summers are very hot , dry and average over 100 degrees and while the winters are mild with temperatures that fall in the low twenties. Low precipitation tends to create another ongoing problem in terms of water needs for both rural and urban consumption. Drought in the region is such that public administrators are concerned that economic activities will not be sustainable if new sources of water or very strict water management programs are not fully set in place. In the North Texas region, there is a joint collaborative management program where water usages are designed to allow citizens to have staggered days of restricted water usages particularly for landscape activities. Other activities include the collection, cleaning and recycling of the region’s water resources. Monitoring of rivers, streams and creeks to adhere to Environmental Protection Agency (EPA) standards that deter pollutants, prevent illegal dumping of yard and industrial waste and provide community outreach and education based on the notion that all sources of water are valuable assets to sustain the region. With the growing popularity of fracking in the oil and gas industry, this has cast a negative light in terms of issues with water table pollution, usages and depletion of artesian wells. Many of the region’s man-made lakes double as holding water reservoirs, places for recreation such as fishing, boating and water sports, with the water authority monitoring sustainable levels of consumption, and as a source of potable water supply. Decreasing levels of reservoir supply and replenishment due to frequent and severe droughts over the last decade. Dams on rivers, a big part of the water supply equation, have consequences for low-lying wetlands and coastal reserves that will affect natural landscape habitat. Regional water management can be a daunting task, especially deciding who does what and where will the manpower come from to maintain the many activities that goes into regional management of this very valuable resource. Several areas in the western region have encountered the varied issues associated with using private entities to manage their water resource. Doing so often equates to very high service charges and unreliable services. The North Texas region, which is the Trinity Watershed District, in conjunction with Dallas Water Utilities entertains the collaborative activities of several municipalities and its citizen commissions. They are able to continue a good working relationship where citizens have to their advantage a seamless water service. The areas municipalities environmental departments offer outreach to schools and social organizations where they can volunteer with community projects, such as cleaning up streams and creeks, or provide educational outreach, for example testing the water for any levels of contaminants. As climate change continues to warm things up, public administrators remain perplexed in finding new solutions and alternative water resources to meet regional demands. Several of the rivers that make its way to the Gulf of Mexico have their origin in the mountainous regions of the Rockies, such as Colorado and New Mexico. With less snow in the mountains and lower precipitation for the past several years, this has further added more stress and the ability for local agencies to come up with solutions. According to the State Environmental Agency, it would take rainfall that totals 18 inches on a constant level to be able to meet the needs for the next several years. 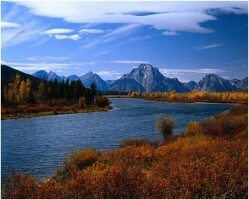 One water source that has received ample attention is the Colorado River system with its many streams and tributaries. According to American Geophysical Union’s Water Resources Research, it looked at the effects of a range of reductions in Colorado River stream flow on future reservoir levels and the implications of different management strategies. Its importance is that very large populations of citizens depend on the Colorado River—which hosts more than a dozen dams along its 1,450-mile journey from the Rocky Mountains to the Gulf of California—for drinking and irrigation water. According to the Bureau of Reclamation, the Colorado River System is presently enduring its 14th year of drought. The idea of creating dams to hold river and seasonal flood overflows is never a winning solution to have a sustainable source of water supply. Managing usages and compulsory recycling is a rigorous benefit to come to terms with. For this reason many colleges are offering advanced and very specialized programs in environmental management with particular emphasis on management of water resources. This acknowledges the necessity and importance of our natural resources in creating standards that are sustainable in nature. The ongoing developments of arid landscapes tend to put added stress on water resources and therefore require public administrators to re-examine the intricacies of urban water usage.